We love a good idea here at Babyology so we just had to share this one with you. Playtime furniture is the brainchild of French interior designer Ludovic Renson. 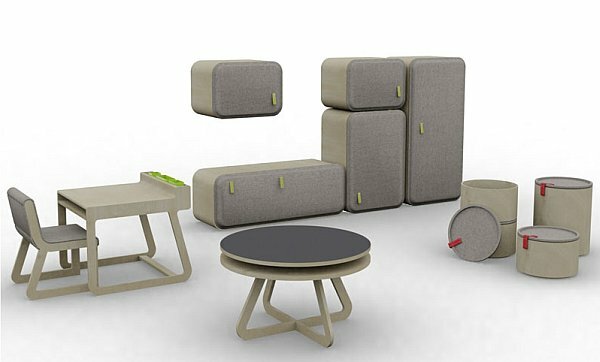 Take a long, envious look at the concept range of children’s furniture made from wood and felt that includes a desk, chair, cupboards and storage containers. I think it looks great in its simplicity of texture and design. Renson says it’s an invitation for children to play in a contemporary space. My husband says it looks a little dull for kids and needs more colour! I guess beauty is in the eye of the beholder – what do you think?